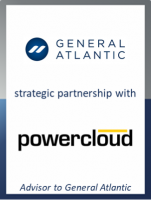 GCA Altium acted as exclusive financial advisor to General Atlantic on its strategic minority investment in powercloud, a fast-growing provider of comprehensive cloud solutions for the energy sector. powercloud was founded by Marco Beicht in 2012 and has since undergone robust growth. The company supports energy supply utilities with innovative solutions for digitisation. The Software as a Service (SaaS) model helps ensure that expensive investments in software are not necessary. powercloud's array of services comprises the following divisions: Enterprise Resource Planning (ERP), regulatory processes, settlement as well as contract and customer management. Using the powercloud solution, energy providers can more easily acquire new end-customers through its dynamic pricing engine and better manage its existing end-customers on all channels with full digital processes and automation. At present, powercloud predominantly offers its solutions to large and medium scale energy providers but would like to develop additional market segments in future. EnBW and E.ON are two industry heavyweights that have already opted for powercloud. Sascha Pfeiffer, Managing Director at GCA Altium, said: "This transaction exemplifies the ongoing digitisation of major traditional industries around the globe. I am convinced that powercloud will benefit strongly from General Atlantic's unique experience as one of the world's leading growth equity investors and will continue its impressive growth path in the future." The transaction was announced on 16 January 2019. Terms of the transaction were not disclosed.